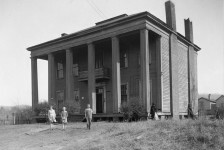 The old “Pickett House” standing on the corner of Molton and Clayton Streets, in Montgomery, was built in the late thirties by John P. Figh. 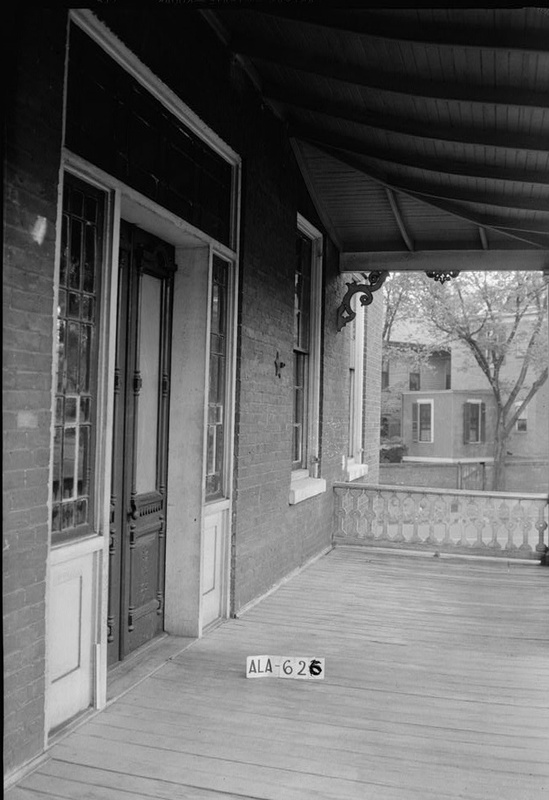 Originally it was of pure colonial style, the present porch and balustrade being added at a later date. The house was built by slave labor and made of brick of unusual durability, baked in the brickyards of Mr. Figh and under his supervision. It was bought in 1858 by the historian, Albert J. Pickett, and was occupied by his widow for thirty-six years. Originally, the house contained between twenty and twenty-five rooms On entering from the front porch, the entrance hall was found to extend through the main part of the building and contained the stairway and very beautiful wrought iron light futures. There were two parlors with folding doors between, on the right side of the house. These were furnished, each, with pier glasses, whatnots, carved mahogany furniture, Brussels carpets, heavy velvet draperies, a large square piano and a few family portraits. However, the majority of the portraits were on the second floor, above the entrance hall, underneath the huge skylight. The other rooms on these floors were bedrooms, with three other bedrooms on the basement floor. This floor contained also the dining room This was a long rectangular room, containing one extremely large mahogany banquet table, the dining chairs, old silver, and one very large sideboard. The floor of this room was made of stone blocks that were originally in the first Capitol in Montgomery, which was burned in 1849. Mr. Figh, assisted also in building the new Capitol, and built the Court House and many other of our older buildings. Just outside the dining room was the flower garden, in which were flowers of every kind known and loved by the people of the South, magnolias, honeysuckle, jasmine and roses, and flowering fruit trees. Back of the flower garden and separated from the house was the kitchen, and farther on the smokehouses and carriage house. There was no vegetable garden as supplies for the kitchen were brought from the Pickett plantations in Autauga and Montgomery Counties. The stables were beyond the long latticed ell. It was here that Jerre, the coachman, held sway, big, tall and powerful, a lover of horses and children. He kept the horses beautifully groomed, and the harness shining. He entertained with stories and a most fascinating watch chain, made entirely of coins, each being different. The whole of the grounds at one time were surrounded by a tall wide paling fence. All paths and walks within this fence were marked off with box-wood pruned low. Until the War Between the States, Mrs. Pickett was very wealthy. During Wilson’s raid, her plantation was robbed of its products, slaves and stock. It was necessary that Bishop Samuel Smith Harris, her son-in-law, should hide even the family silver from the soldiers. 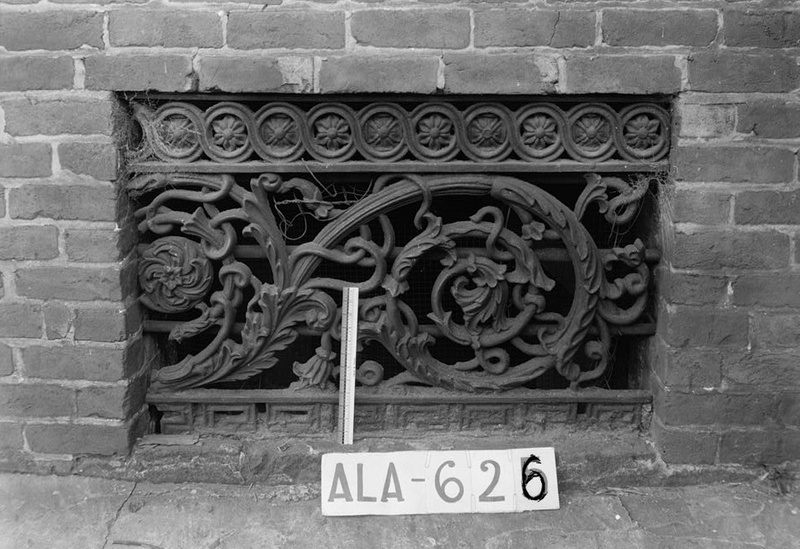 This treasure was hidden in the skylight, and a large trunk was packed with bricks and sent to the plantation by slaves to give the impression that the silver was hidden there. The ruse was successful and the Pickett silver is to this day being handed down from generation to generation. Being now a widow, and suffering the losses common to all at the end of the War, with the aid of a few faithful former family slaves, Bird, Joe Curtis and Sallie Lewis, Mrs. Pickett, who had lived in affluence, began working for a livelihood. She opened her home to her friends, who came from the adjoining towns to the Capital, and for her trouble she received a generous recompense. Among those who were her guests were United States Senator C. C. Clay, son of Governor C. C. Clay; General LeRoy Pope Walker Secretary of War in Jefferson Davis’ Cabinet; Judge Thomas Wilkes Coleman of the Supreme Court, a very learned man; General Braxton Bragg, Judge Robert C. Brickell, and many others of equal rank. 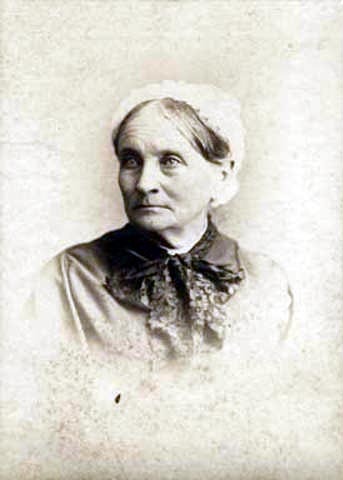 Mrs. Pickett (Sarah Smith Harris) was born February 7, 1816, and died July 9, 1894. She was the daughter of William Harris and Mary Drew Alston, who was the daughter of Colonel Philip Alston and Mary Drew Temple of Carthage, North Carolina. The old home in which this family lived in North Carolina is still standing. 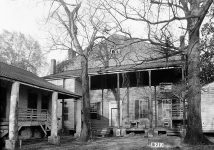 The home occupied by William Harris and his family was called, “Harris Hall.” It stood near Montgomery on the place now called Pickett Springs. 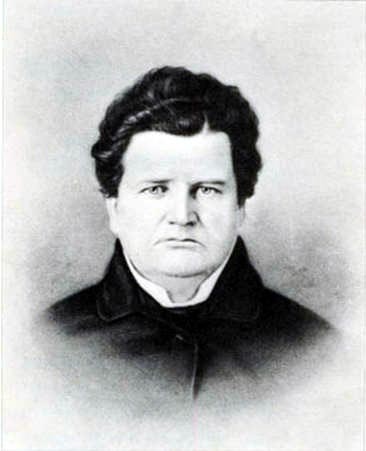 William Harris, a wealthy planter, took a prominent part in the social life of Alabama. When LaFayette came to Montgomery, in 1825, the carpet in the room at the tavern in which he rested was contributed by Mrs. Harris. She also furnished a part of the silver used upon the dining table at the banquet. Sarah Smith Harris cherished always the memory of having taken part in this entertainment and was very proud that as a child she once sat upon the lap of the great General. “Corinne, when you look animated, you look like your mother; when you look sad you look like me. Don’t look like me. Smile, smile! and never look otherwise than happy like your mother. 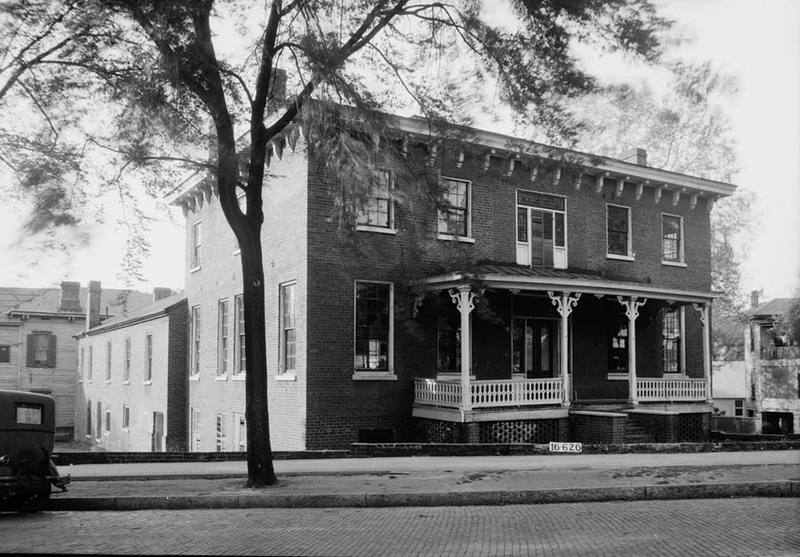 The “Pickett House” is now occupied by Barnes School for Boys. 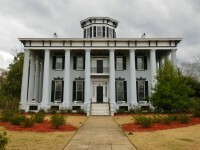 To what better use could the former home of Alabama’s first historian be dedicated than to Education? 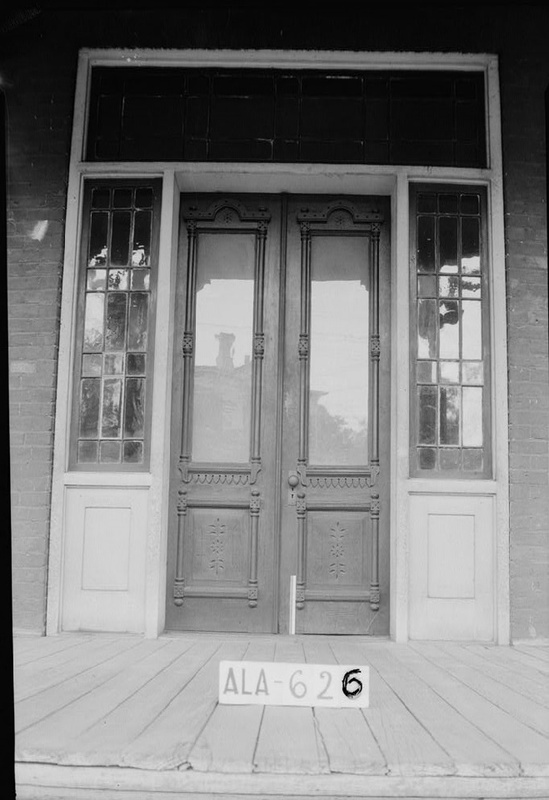 NOTE: The Figh-Picket House, the first brick house in Montgomery, is now located at 512 South Court Street in Montgomery. 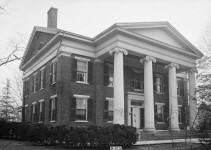 It serves as the headquarters for the Montgomery County Historical Society. 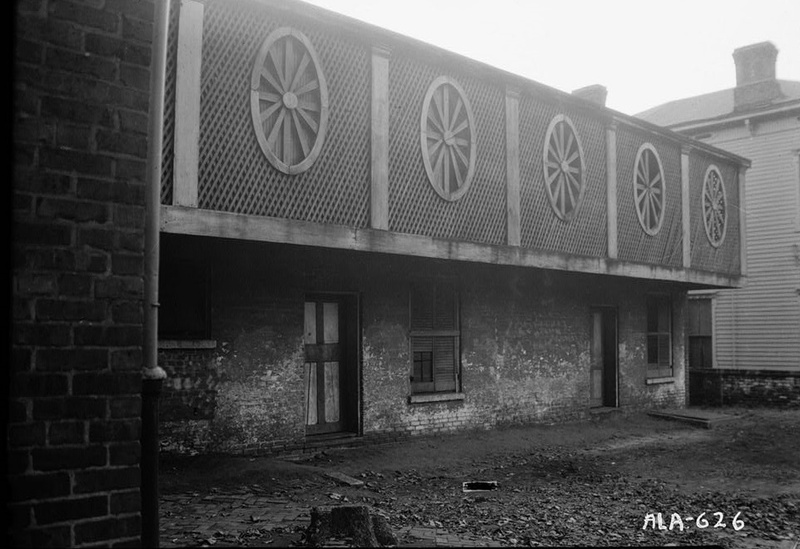 It was built and located at the corner of Clayton and South Court Streets in 1837. 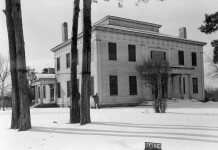 When the Federal Court House was expanded, the house was moved to the present lot. The Montgomery County Historical Society felt it was appropriate to use this house as Albert Pickett was one of Alabama’s early historians. 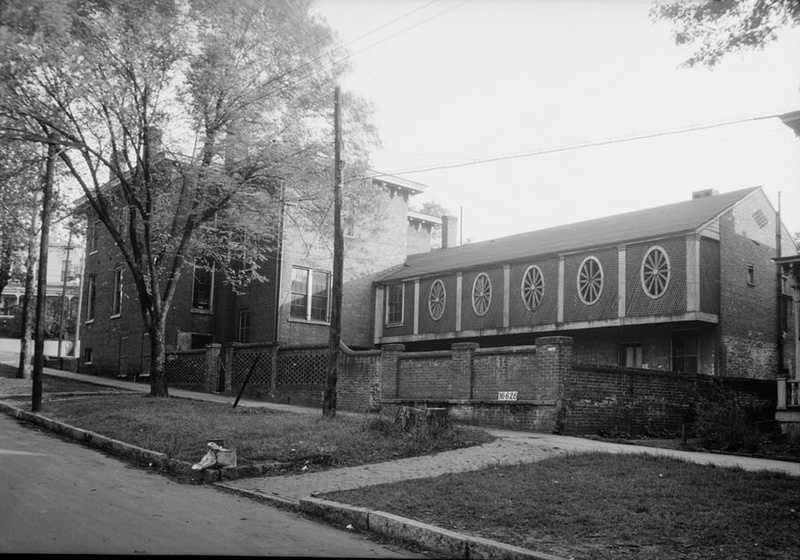 The house is located at the corner of South Court Street and Mildred Street. 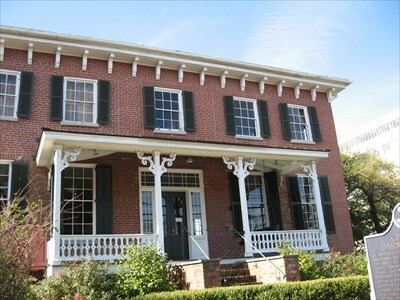 John P. Figh, a native of Maryland, built this, the oldest surviving brick dwelling in Montgomery, ca 1837, at the corner of Clayton and South Court Streets. Figh was one of the chief contractors for the construction of the Alabama State Capitol. He also served as city alderman. 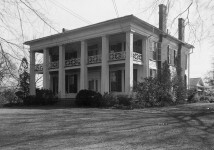 In 1858, Figh sold his house to Alabama’s first historian, Albert James Pickett, from North Carolina. Although Pickett died just before moving into the house, his family lived here for more than 50 years. We need an after picture taken from the same spot. There are quite a few nice pics in the article. A magnificent article on the Pickett house and it’s history. Look forward to visiting this house. Hopefully the information here in the Pickett’s will help in my genealogy I have. 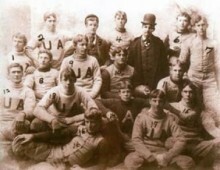 I learned of the Pickett’s soon after moving to Autauga County. I immediately began researching the local history and was pleased to find the family hailed from North Carolina. I am originally from Charlotte and the Pickett’s just down the road. The story of how Albert rode on horseback returning to Wadesboro to attend college still amazes me. What a ride that must have been and even more so, an experience. I think of their family every time I ride into Autaugaville, originally “Pickett’s Range”. I’m amazed when I look at the original map of the town as drawn in the “Pickett Papers” and that it has changed very little since it was first surveyed out and the streets named. It sure makes me feel at home living here. Well done, a great web site, keep up the good work!